It is with great sadness we announce the passing of a son, brother, uncle, great uncle, and friend, BRIAN DARWIN WHITE MAN LEFT - Somiitoo” on September 20th, 2018 in Calgary, Alberta at the age of 49 years. Brian was born in Cardston, Alberta on June 6, 1969 and was raised on the Blood Reserve and in Cardston. In his adult years, he chose to live in Calgary to further his education. He attended school in Stand Off, St. Mary’s, and Cardston. He received his GED and numerous certificates from LCC. He was a very humble, loving and considerate person who had an unconditional love for his mom Linda. Because of this, he was jokingly labelled “Momma’s Boy” from his siblings but he loved them so much that one of his favorite things to do was to spend time with Wilma, Clarence, Stacey as well as all his nieces and nephews just to make sure they were Okay. This was a bond he made sure would never be broken. Brian had a contagious laugh and smile that when he was talking to you, you would never know if he was serious or not, until he smiled or laughed. He had a very empathetic and caring spirit - always making his “rounds” to family to make sure they were okay and to see if anything needed to be fixed or maintained in their homes. He always ended his visits at his cousin Leanne’s where he would end his extended visits, staying weeks at a time just to make everything was okay. From there, he would check on family and spend time with Wilma before leaving back to Calgary. Brian loved all his nieces and nephews and made it a priority to always call them. He also make sure his Aunt Victoria, whom he adopted as his grandmother, was okay and to assure her that he was always thinking of her. This is why his Grandpa Joe gave him the Blackfoot name “Somiitoo” meaning Wanderer. Brian love animals and throughout is life was always taking in strays - picking them up wherever he went, and bring them home. His longtime loves being his dog “Kujoo” and cat “Garfield”. Brian was very creative and expressed himself thru his writings and poetry. One of his favorite things to do was make crafts, beading, and he spent a lot of time with Bible Study to strengthen his faith with his Savior. Brian’s contagious laugh and humorous side will be greatly missed by all who knew him. Brian is survived by his father, Joseph (Joan) White Man Left; brothers Clarence, Eric (Virginia); sisters Wilma, Stacey (Norman) WML, Alyssa Soosay, Kandace (Carl) WML, Robin Cochrane; nephews JR (Misty BP, King Eagle Bear, Eddy and Brendon Bad Man; nieces, Kelly (Whitney) Black Plume, Melissa Bad Man; great nephews Donovan Jr, Rogan, Kngston, Kinesse, Kingsley, Hunter, Ezreal, Eisley, Clonte, Taviis, Taylen, Elijah, Derozan, Rayden; great nieces Brooklyn, Presley, Kinslynn, Mia, Missy, Etaige, Evie, Eisis, Eliana, Esme; aunts Victoria Calf Robe, Jeanette (Brian) Stevens, Beverly Morning Owl; special cousins Cheryl (Lewis) Beebe, Calvin (Kiesha) WML, Muriel (Elvin) NP, Diane and Roland North Peigan, Willy, Theresa, and James Wolf Tail. He was predeceased by his beloved mother Linda Little Plume (2014), grandparents Joe & Mary White Man Left, Tom & Philomena Little Plume; uncles Francis, Pete, Bernard and Adrian White Man Left, Thomas and Willy Little Plume; aunts Rosie White Man Left, Louise Medicine Crane, Christine WML, Mary Standing Alone, Rita and Camillia Pard, Molly SWAG, Lena Plume, Phyllis Leavitt, Delphine Black Face, Gloria and Lucille Little Plume; special cousin Bernice White Man Left; best friend Larry Bull Child. A Wake Service will be held at the Moses Lake Gym, Blood Reserve on Friday, September 28th from 6:00 p.m. all night. 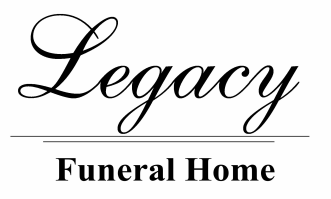 The Funeral Service will be held at the Moses Lake Gym on Saturday, September 29th at 11:00 a.m. Interment in the Pioneer Cemetery, Blood Reserve. Condolences may be sent by CLICKING HERE.